“Solstice Skies over Stephens” Photo by David Dreimiller. While it’s not actually solstice quite yet, the low sun and cloudy skies certainly go with the season! The date of our final scheduled observatory Open Night has passed and Stephens Memorial Observatory will close for the season. 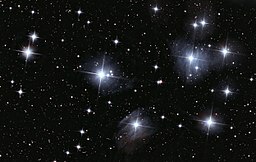 If we enjoy a stretch of clear nights this winter, we may open for a special Open Night event (we would love to show you the Orion Nebula) so watch this website and our Twitter feed for updates. Otherwise, we’ll hope to reopen in March for monthly sessions. Until then, we wish you a happy holiday season and a new year full of peace and happiness. We expect we will cancel our scheduled Friday night Observatory event due to cloudy skies and possible snow. There is, however, a special treat awaiting sky-watchers on campus and it’s indoors, you know, where it’s warm! 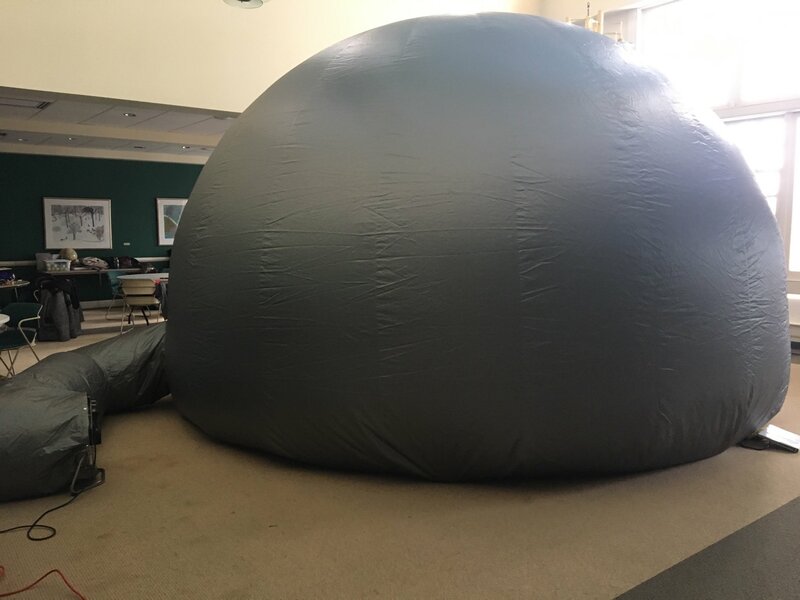 The portable StarLab planetarium will be set up and open to the public! Free of charge! No tickets required! Folks can just come any time from 7:00 to 9:00 PM. The more the merrier. We will run 20-minute programs in the dome and have a few things planned while people are waiting or as they leave. The StarLab will be set up in the Gerstacker science building on the Hiram College campus, not far north of the Post Office: 11700 Dean St.; Hiram. So, come on out and enjoy a fun and informative evening snug inside StarLab. And to everyone we wish a happy holiday season, as well as peace and happiness in the coming new year! UPDATE: THIS EVENT HAS BEEN CANCELED DUE TO CONTINUED AND FORECAST OVERCAST/MOSTLY CLOUDY CONDITIONS. 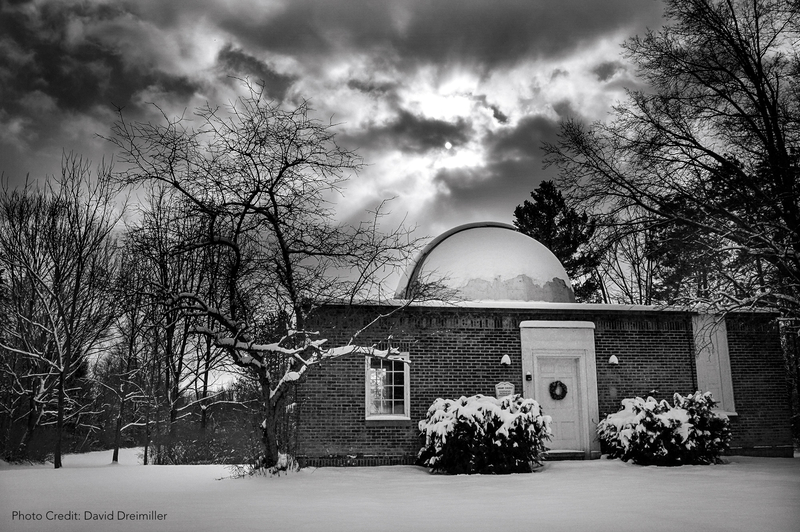 Stephens Memorial Observatory of Hiram College will be open for public observing Saturday, October 28, from 7:00 to 9:00 PM. That night will feature Hiram’s participation in International Observe the Moon Night, a global event celebrating our nearest neighbor in space. Given good skies, Earth’s Moon will be viewed in spectacular detail via the Observatory’s 1901 telescope. Other objects of interest may also be viewed. 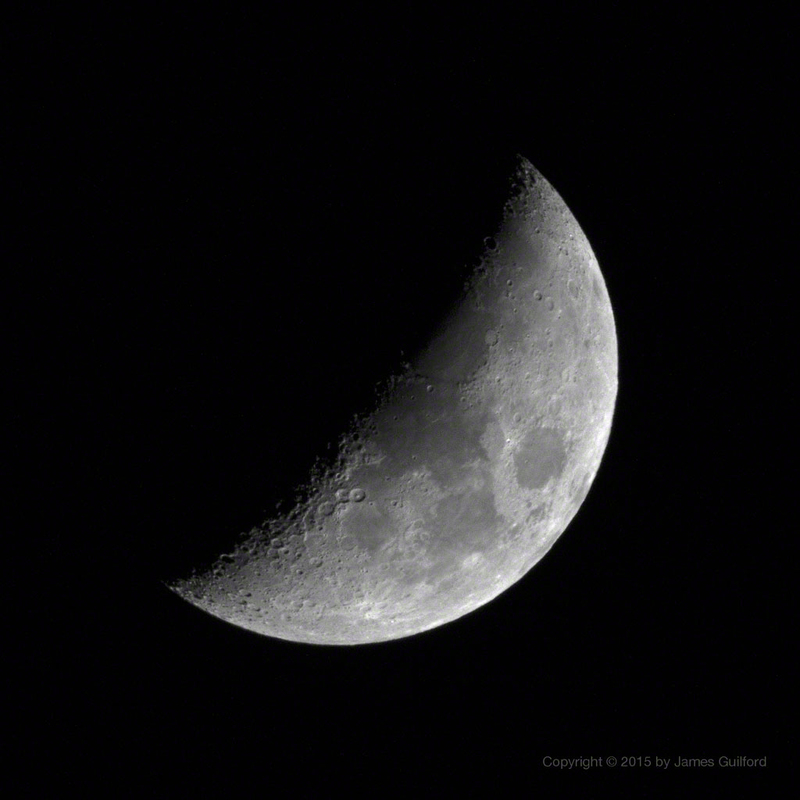 Visitors are invited to bring their smart phones or cameras and try lunar photography — it’s harder than you may think!